Tranquiliti Wellness Center is excited to anncounce the opening of our Wellness Store, located at the front of our Wellness Center. To learn more about our products, click the button below. 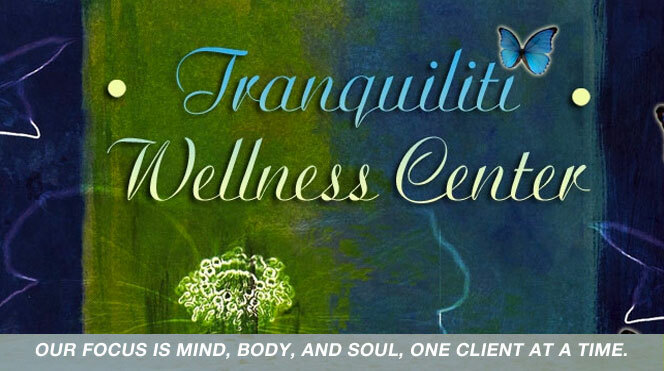 Tranquiliti Wellness Center provides wellness services that help strengthen the mind, body & spirit. Learn about LIFE COACHING, Reiki & Energy Balancing, Massage and much more! Our focus is mind, body and spirit, one client at a time. Experience one of our featured retreats or specialty classes. To learn more, contact our wellness center today to sign up for a specialty class.